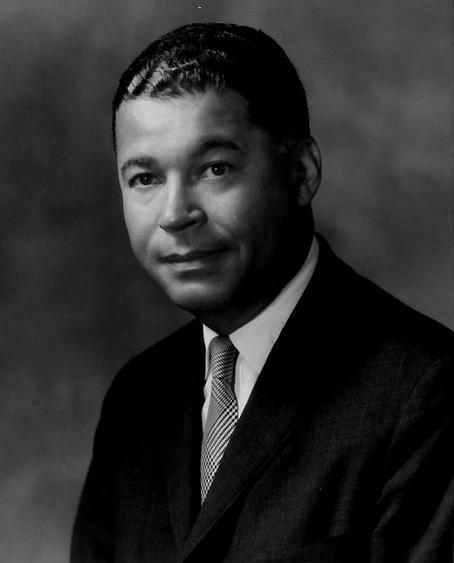 Edward Brooke, first black man popularly elected to Senate, dies at 95. President Obama congratulates Congressional Gold Medal honoree former Senator Edward William Brooke on Capitol Hill on Oct. 28, 2009. Edward W. Brooke III, who made history in 1966 when he became the first black man to be elected to the U.S. Senate by popular vote, died on Saturday of natural causes. He was 95. Brooke won a seat in the Senate by almost half a million votes in 1966 as a liberal Republican in Democratic Massachusetts. He was re-elected in 1972 and “remains the only black senator ever to have been returned to office,” notes the New York Times. Growing up in Washington, Brooke went on to serve in the Army during World War II before building a political career in Massachusetts, where he became the attorney general before winning the Senate election. Brooke’s brand of Republican harkens back to a much less partisan Washington, considering it was precisely his independence from the party line that made him one of the most popular politicians in Massachusetts. “Tall and husky, with a nimbus of closely cropped hair, he was regarded as charismatic and vigorous in a way that reminded many voters of another Massachusetts political figure: President John F. Kennedy,” writes Timothy Smith in the Washington Post. Brooke was not afraid to stand up to his party, which became clear when he bitterly fought against two of President Richard Nixon’s Supreme Court nominees due to their positions on civil rights. He then became the first Republican senator to call for Nixon’s impeachment. His political career began to unravel, though, near the end of his second term, when he divorced his wife of 31 years, Remigia, in a bitter case that grabbed the national spotlight. During the proceedings there was an investigation into his personal finances and a confession that he had made false statements under oath in a deposition. It ended up costing him the 1978 election, which he lost to then-Rep. Paul Tsongas. “When he ran for statewide office in Massachusetts, and one reporter pointed out that he was black, Republican, and Protestant, seeking office in a white, Democratic, and Catholic state—and also, quote, ‘ … a carpetbagger from the South and … poor’—Ed was unfazed. It was, to say the least, an improbable profile for the man who would become the first African American state attorney general, and the first popularly elected African American senator,” President Obama said at a ceremony granting Brooke the Congressional Gold Medal, notes CNN. Brooke told the Associated Press he was “thankful to God” that he was able to see Barack Obama become president.